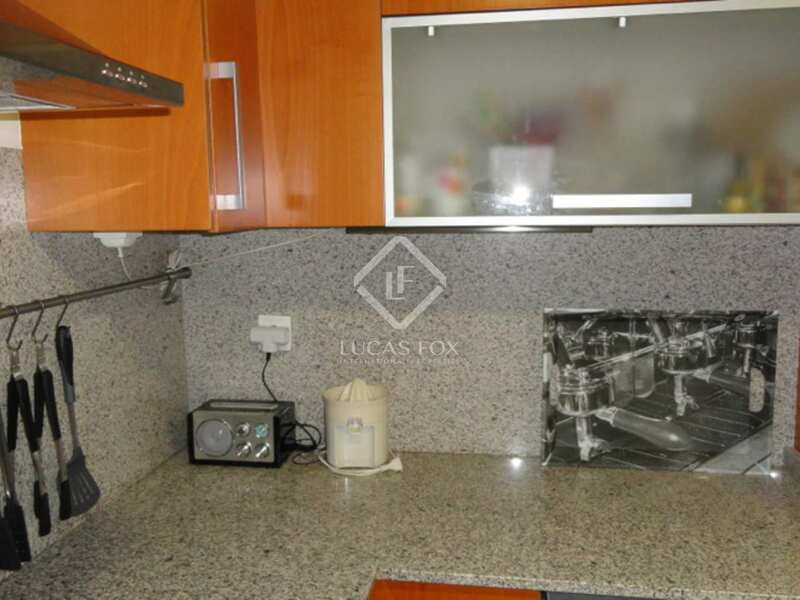 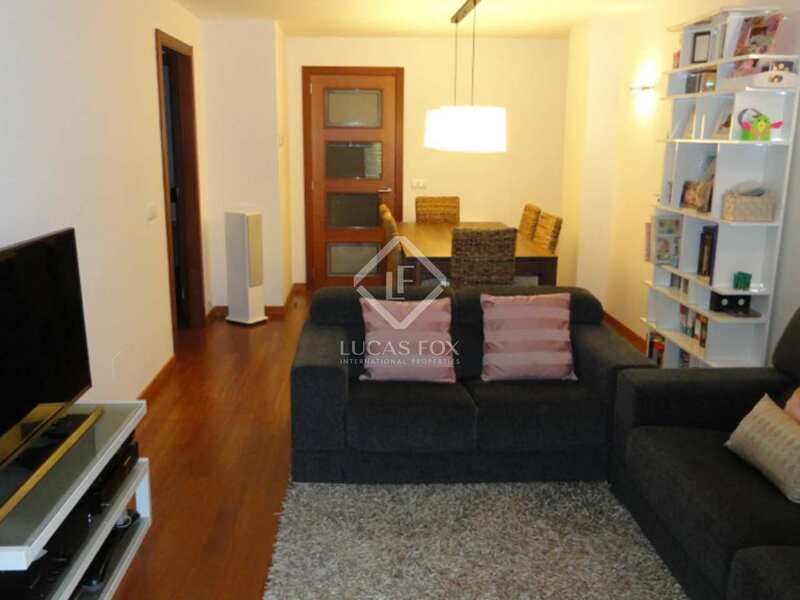 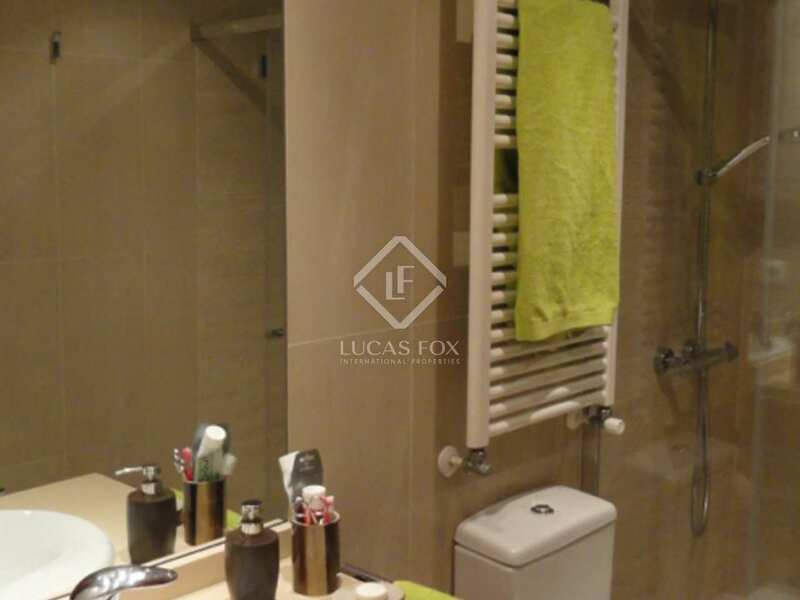 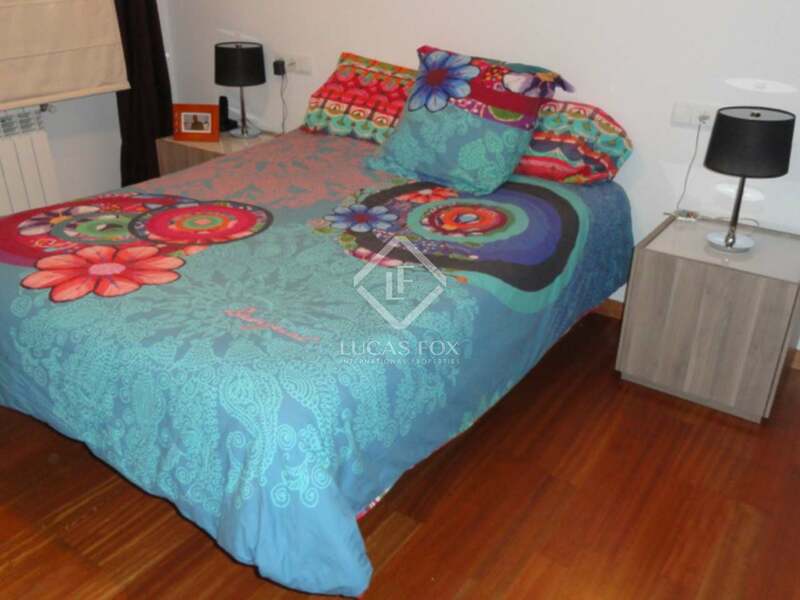 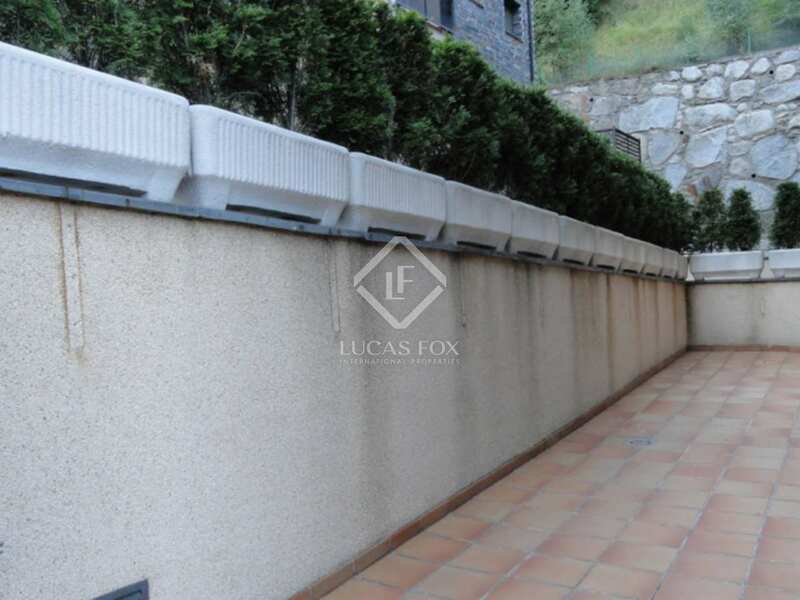 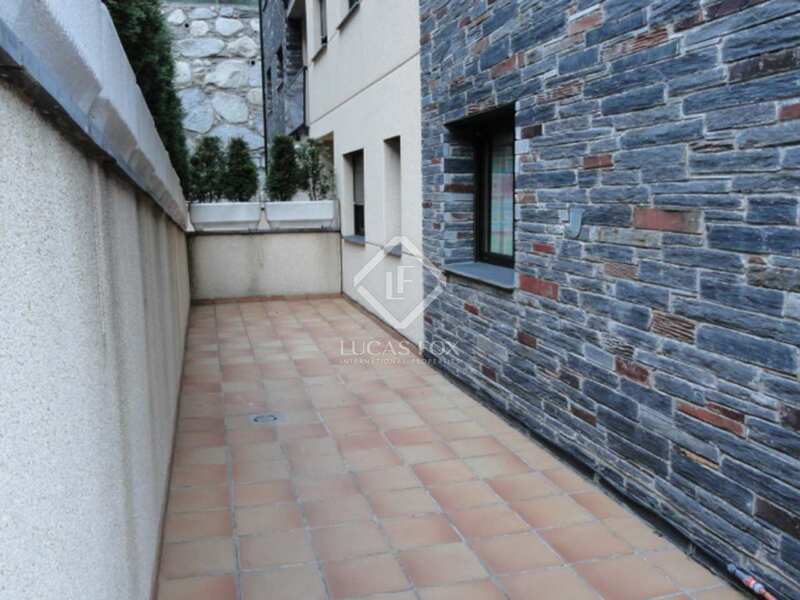 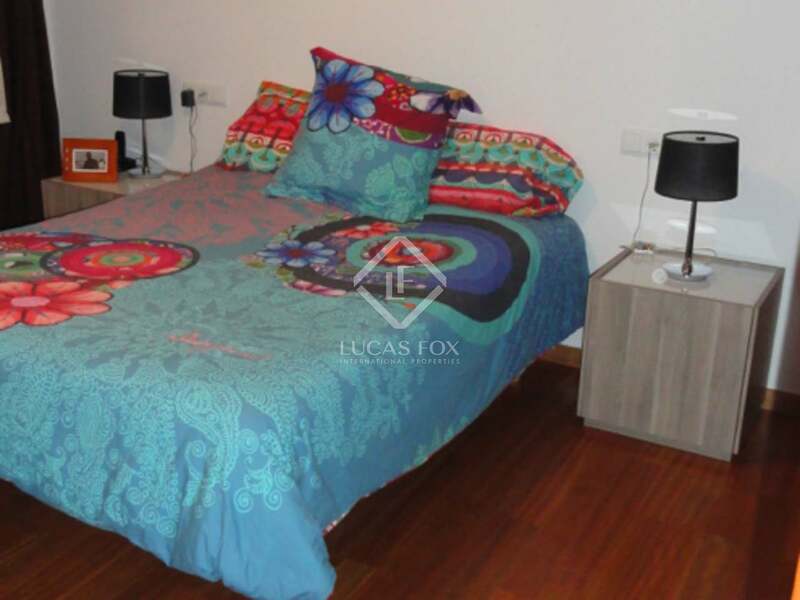 Modern 2-bedroom apartment with a great terrace for sale in Arinsal. 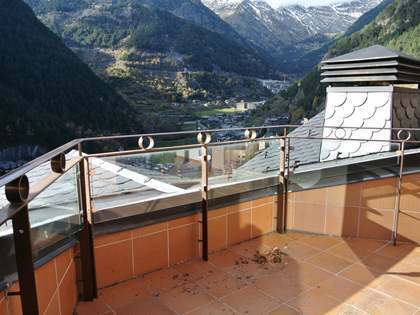 2-bedroom renovated apartment with a great terrace, just a few minutes from the centre of Arinsal and surrounded by mountains and pine forests. 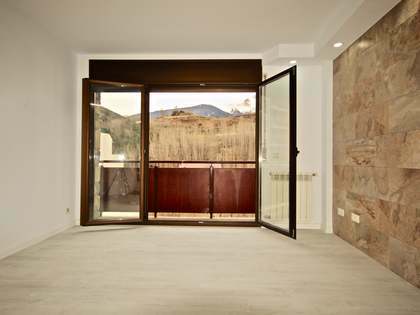 This modern apartment offers comfort and quality in a quiet area, a few metres from the centre of Arinsal and the entrance to the Vallnord ski station. 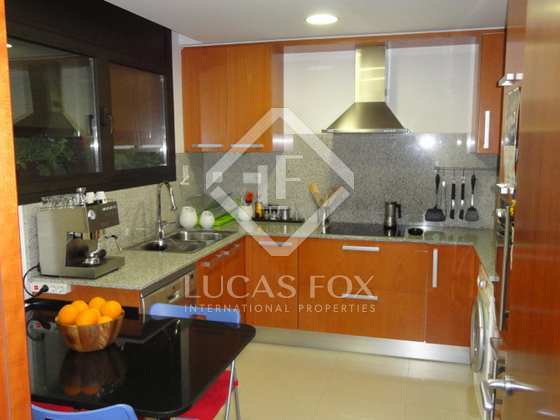 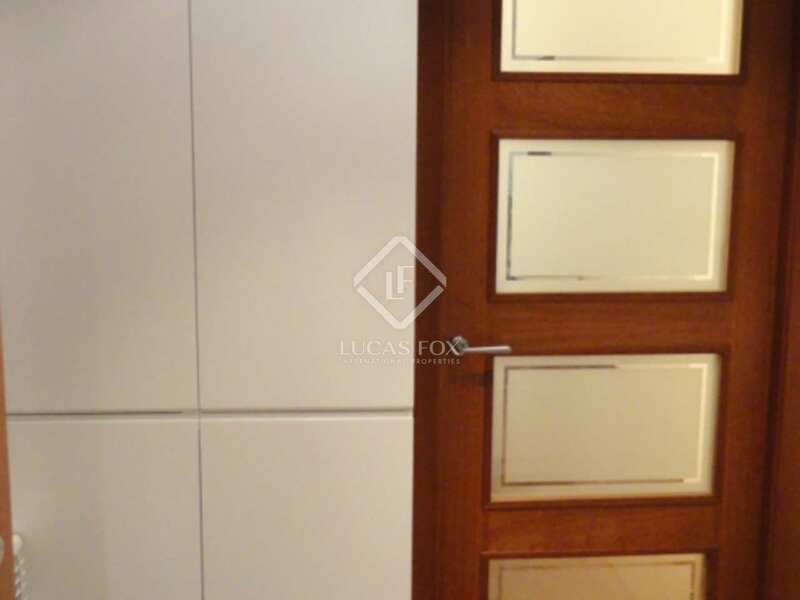 It has quality finishes and has been newly refurbished. 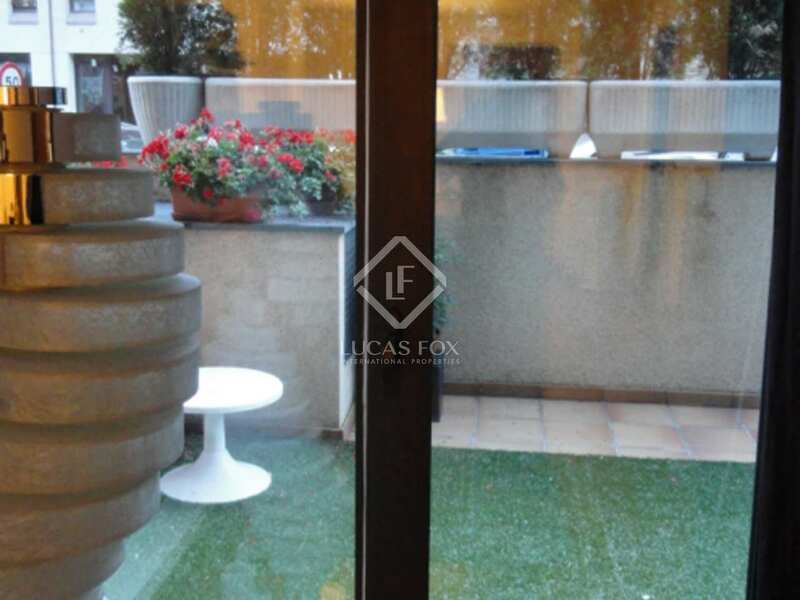 The apartment consists of a small entrance hall with a built-in closet, a living room which is light and airy with direct access to the terrace of 50 square metres. The kitchen is equipped with all necessary appliances, a large table for breakfast for the whole family and with a window that fills it with natural light. 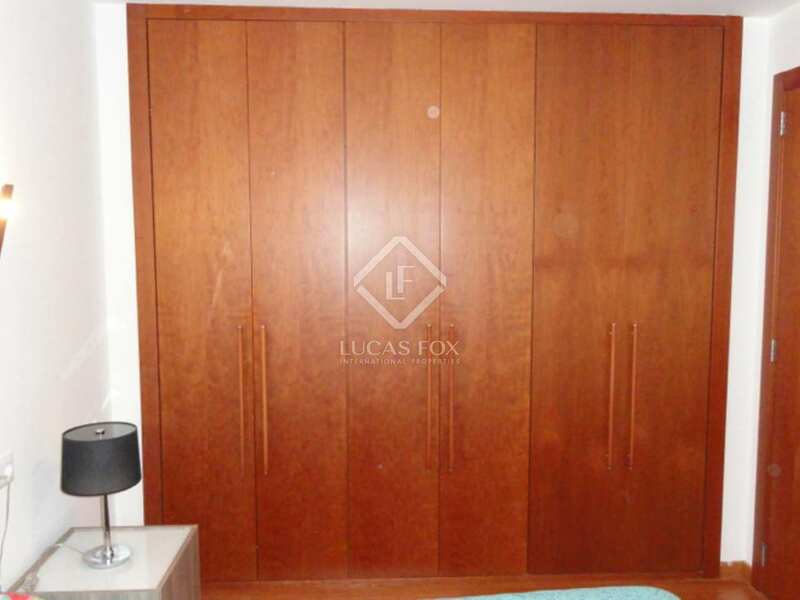 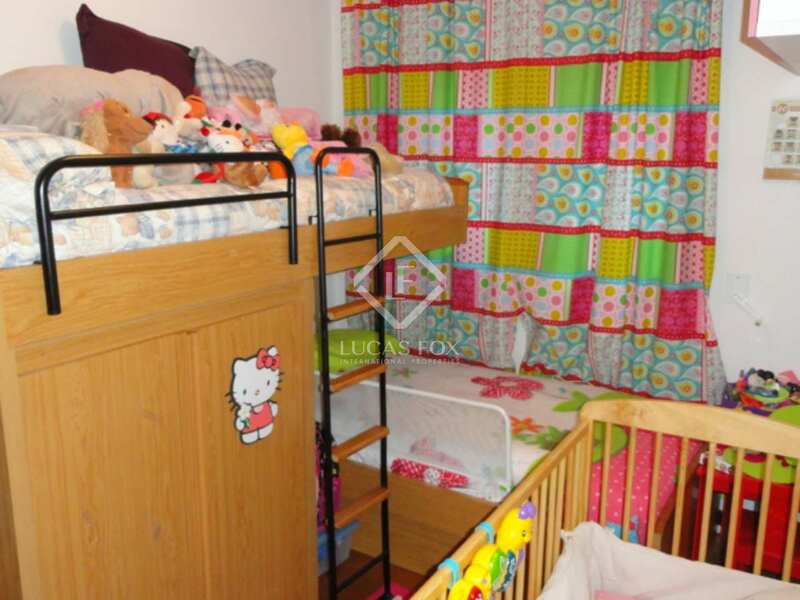 The bedrooms are doubles, have fitted wardrobes and wooden flooring. 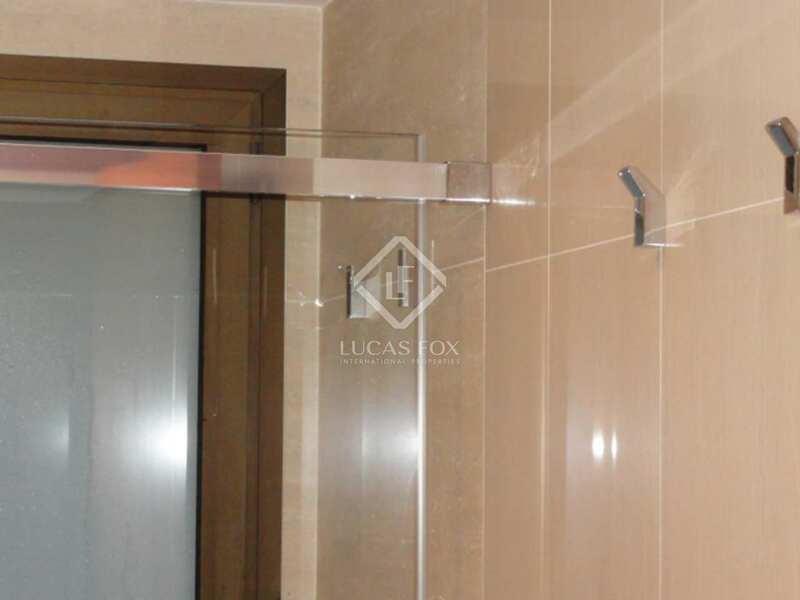 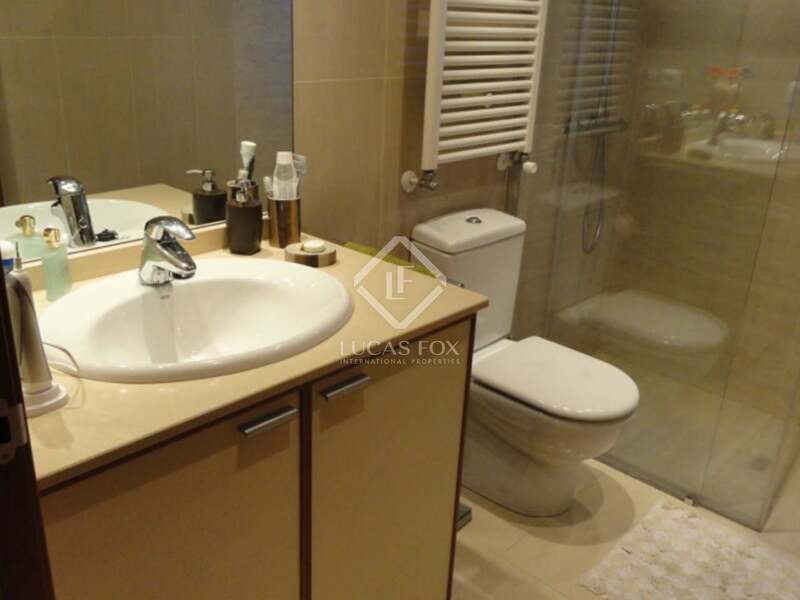 There is a complete bathroom with a large shower, shared by the 2 bedrooms. 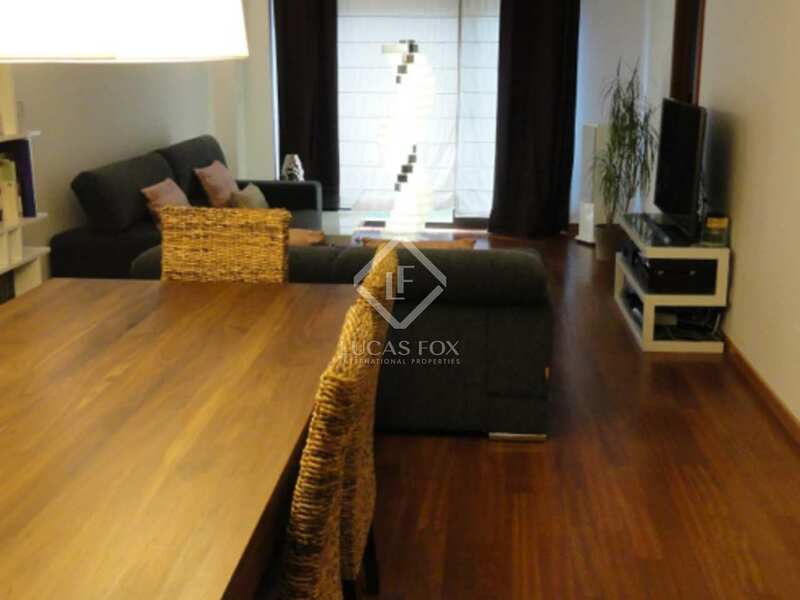 The materials such as natural wood cabinets, the doors of the rooms and the wooden floors give this apartment exceptional comfort and warmth. 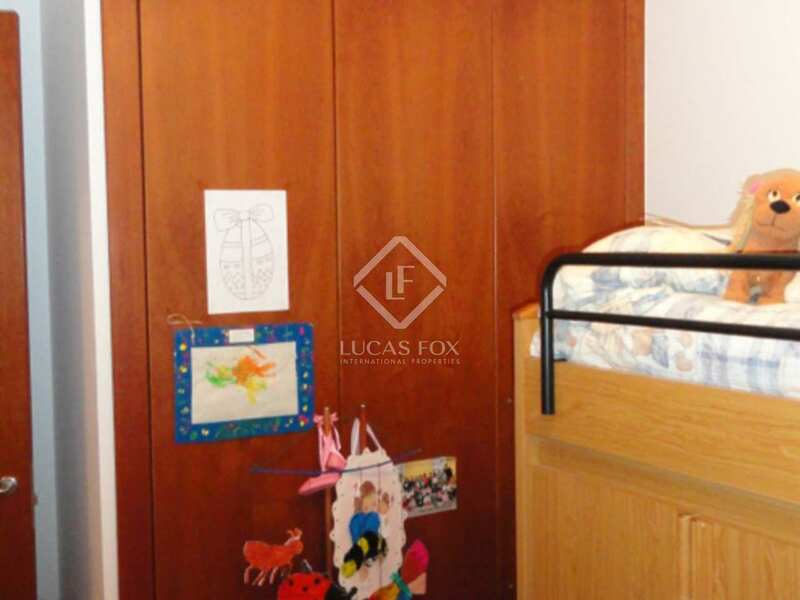 The modern design and layout maximises use of the space available. 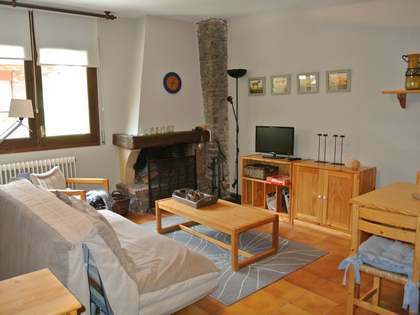 Surrounded by nature, the apartment allows a perfect combination of tranquillity and relaxation, is ideal for lovers of mountain sports and at the same time for people who like modern style. 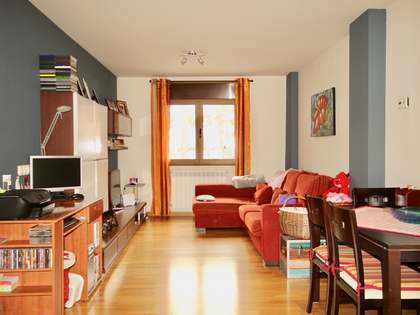 Parking for one car and storage is part of the apartment. 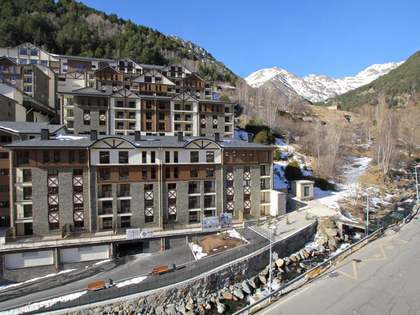 This magnificent apartment is located in a quiet residential area just 4 minutes from the capital of Arinsal with its services and the entrance to the Vallnord ski slopes. 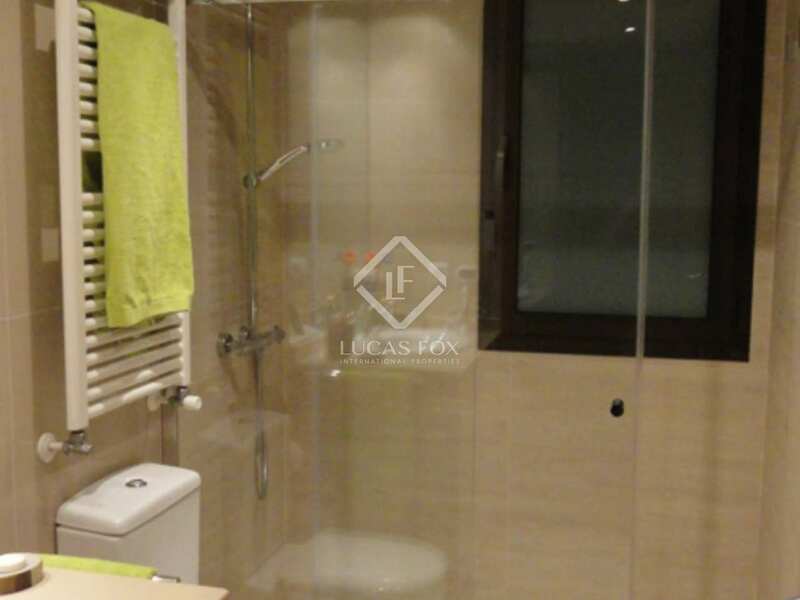 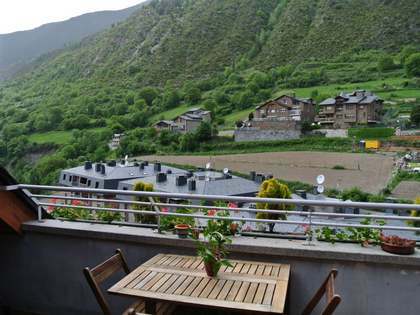 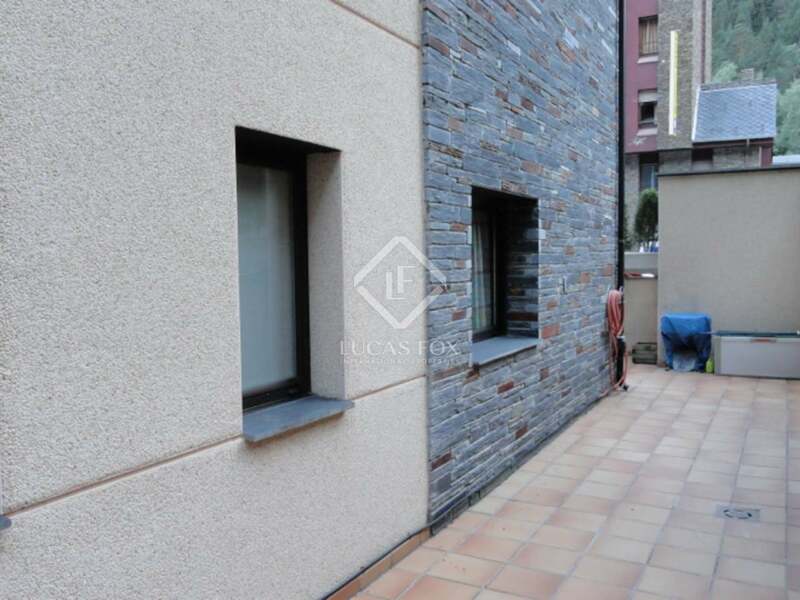 15 minutes from the capital Andorra la Vella and 5 minutes from La Massana- the capital of the province noted for its good transport links, restaurants and leisure facilities.